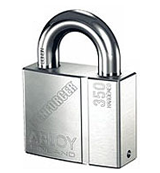 ​ENFORCER® ABLOY® Padlocks for trailers and containers use a series of disc tumblers that function like the tumblers in a bank safe. 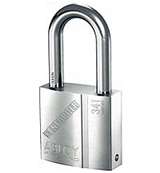 Only the correct key turned 90 degrees will align the discs and gates. The key can only be removed by reversing it to a stop that automatically rescrambles the discs. 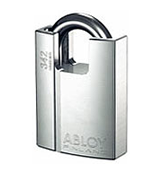 Provides tough resistance to physical attack on trailers such as drills, chisels and cutting tools. 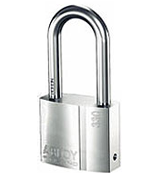 ABLOY® product is also bump-proof. 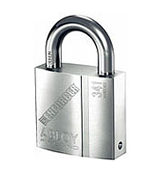 Provides maximum resistance against corrosion in coastal and marine environments. Allow moisture to escape, which reduces dirt build-up and helps prevent corrosion. 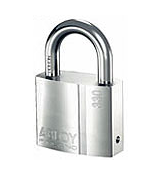 Stainless steel ball bearings dead-lock the shackle at both ends for a strong hold.